Ransomware is the current BIG thing in endpoint security. Stories of companies and individuals having demands for money to unlock their precious files after an attack are rife in the news. Many of the online big boys in the security arena are powerless to prevent these kinds of attacks due to the nature of their detection algorithms. 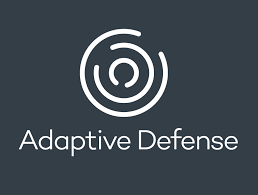 Adaptive Defense 360 is the only product on the market that boasts a 100% success rate in the detection and prevention of online threats, allowing only legitimate software to run. The software constantly monitors and classifies the software running on your computer and provides automated remediation, real-time monitoring and reports, profile-based protection, centralised control of devices, as well as Web monitoring and filtering. Call us now for a free quotation and get the best protection out there now!